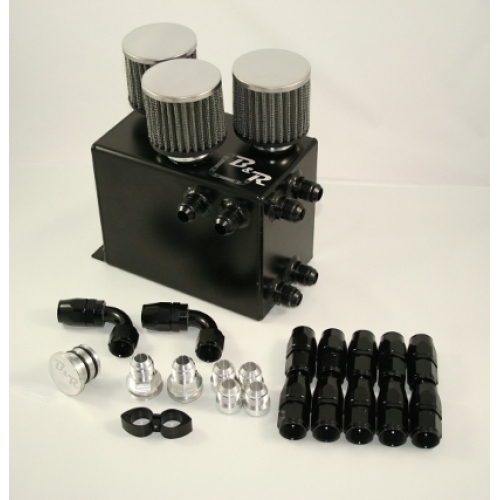 The B & R Fittings Breather Tank is designed for high horesepower B-series motors in EG/EK/DC chassis. The breather tanks are internally baffled to keep the oil inside the breather tank. 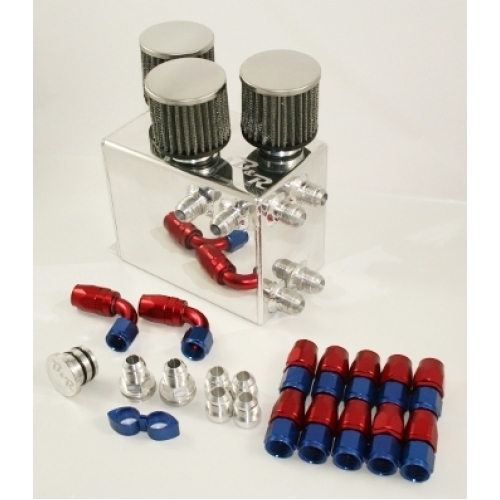 The kit utilizies six ports, 4 ports for the valve cover and 2 ports off the back of the block. Which vent at wide open throttle and drainback under vacuum. Note: B20 blocks don't have the stock black box, so you don't need the block plug.